My husband and I have always had a great appreciation for historic elements. We built a Garrison home with a colonial emphasis but it has some Victorian accents ( a propagative when designing your own). We liked the look of plinth blocks for the corners of our windows and doors. After pricing pre-made ones it was clear the cost was prohibitive. We needed 136 in all. So you guessed it, we decided to make them ourselves. A very ambitious project! This was truly a group effort between my husband, brother and myself. We created our own design, my brother made the jig, my husband routered it out on wooden blocks and I applied the four sides with beaded trim and stained them. 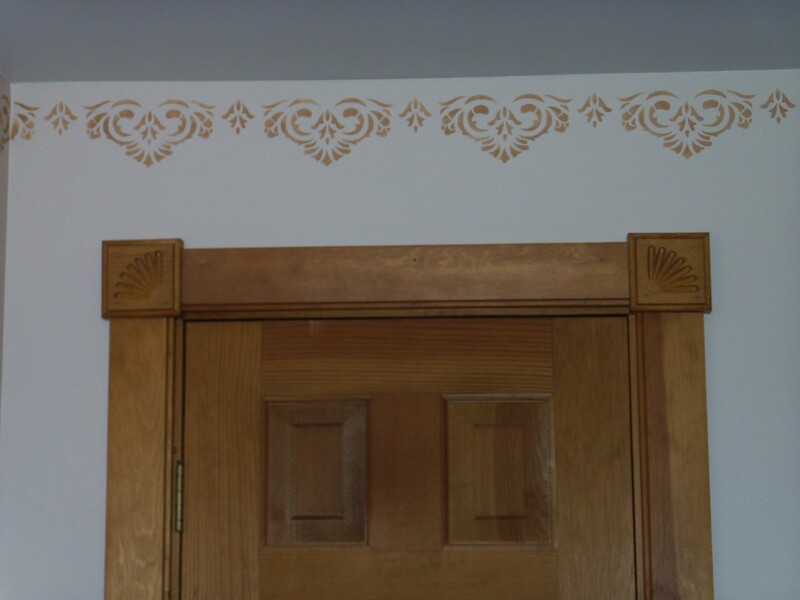 The beaded trim matched the beading on our custom milled trim boards. A long process to say the least, but a unique accent to our home that has evoked many positive comments from visitors.